1) Create a Company Page – Use this page to promote and bring awareness to your business. 2) Generating Leads – Communicate value through content that appeals to your target audience. 3) Brand at a Glance: Review your headline to make sure it is effective as possible. 4) Warm Call – Engage users who you have a personal connection with. This will start a business relationship. 5) Never Spam – Post strong insightful content in a group conversation to add credibility to yourself. 6) Create A Strategy – Start with profile creation, then join groups, connect with professionals. 7) Personalize Your Profile - Order what’s most important at the top of your profile. 8) Raise your LinkedIn Profile to 100% Complete: It will increase your standings in the LinkedIn search. 9) Use Slideshare: load your Slideshare directly on your Profile. It’s a great way of demonstrating your value. 10) Set up the LinkedIn iPhone Application: free and powerful app that enables many of the LinkedIn functions on the go. 11) Web Presence: Use LinkedIn to have a simple presence that enables you to effectively interact online. 12) Drive Traffic via Groups: Post interesting articles to the Group. You are looking to relationship build, not sell. 13) Customer Interaction: Create a customer-only Group to manage interaction for your product, brand or business. 15) Share Links of Value: Find and share links worth posting with your target audience. 16) Search Engines: Your Profile is picked up in search engines and is considered a valuable link. Use it to your advantage. 17) Utilize SEO - Optimize keywords in your job titles and descriptions to maximize efficiency. 18) Answer Questions: Exhibit your expertise and attract new connections, all without a hint of self-promotion. 19) Join up to 5 groups & then actively engage the members. Offer solutions and insight through your participation. 20) Communicating to Your Audience: Use LinkedIn publishing as a platform to provide value to your users. 21) Headline: Update your headline to let all of your followers know what you do for work. 22) Drives Awareness - Tailor your content to your client’s interest while creating awareness to your skills. 23) Maximize your headline. Use the 120 characters to enable viewers to understand what you do and what your strengths are. 24) Effective Awareness via Invites: You should only send requests to people you have something in common with. 25) Make it Easy for People to Find You - Add your LinkedIn vanity link to your business card or email signature. 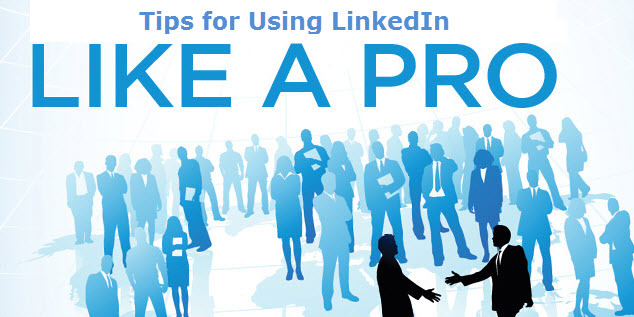 After reviewing these 25 tips you are now ready to make the most out of your LinkedIn page. Which tip did you find the most beneficial? What are some tips you would add?